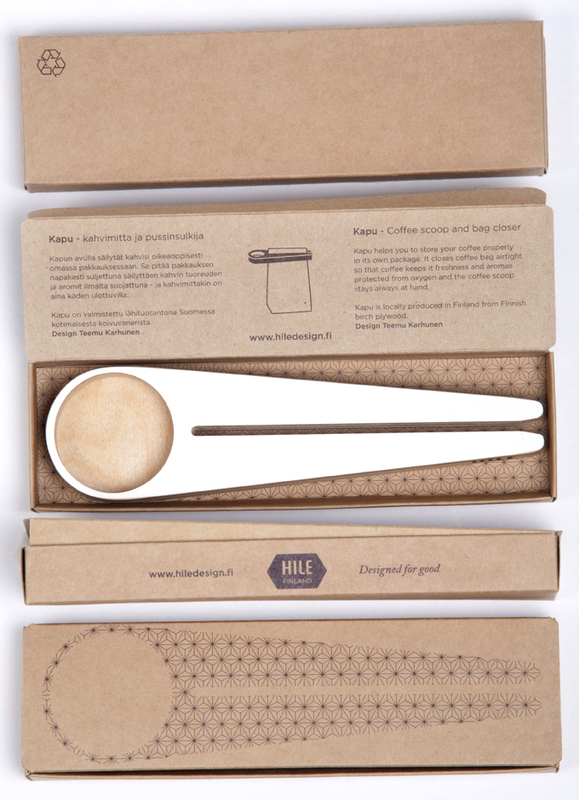 Kapu, The Finnish Coffee Clip – Dear Coffee, I Love You. Finland is known more for the quality of their design than their coffee, but they drink a lot of it—so well-designed coffee accessories shouldn’t come as a surprise. While browsing the Design Forum in Helsinki last week, I came across a nice solution to the problem of coffee bags without closure tabs—the Kapu. 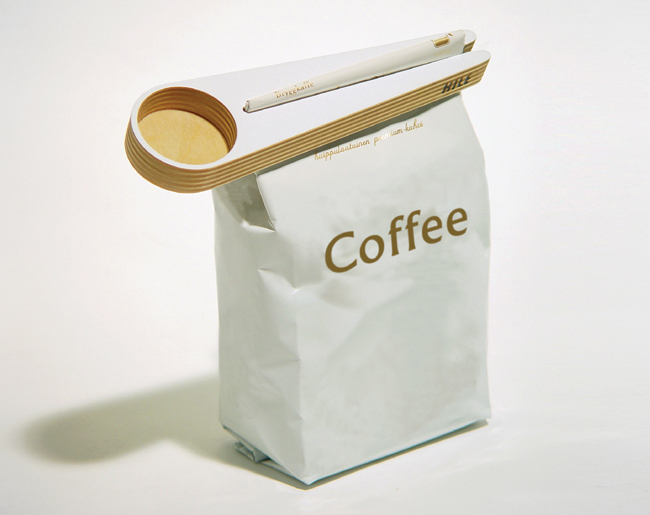 The Kapu is both a bag clip and coffee scoop, made from Finnish Birch plywood, that will help keep your bag sealed and your coffee fresh. Designed in 2003 by Teemu Karhunen, the early prototypes where entered into a design competition and a small batch where given as gifts to a few friends who became big fans of them. One of those friends was the manager of the Design Forum Shop, who encouraged Teemu to produce more of them. A few years later Teemu joined his girlfriend Hilja Nikkanen, who founded the socially responsible design company Hile, to relaunch the Kapu as part of their product line. 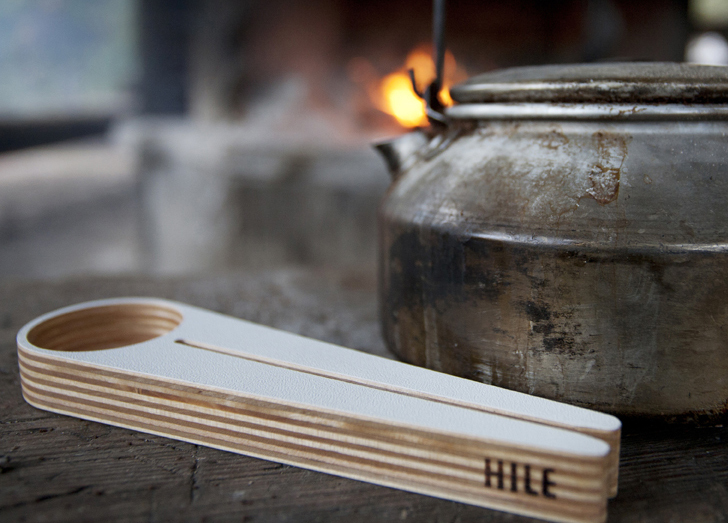 The production process of the Kapu is kept within a 100km radius of Helsinki and the simple, high-quality design is typical of the Scandinavian style. Even the packaging, with one color printing on raw cardboard, maintains an elegant feel that matches the craftsmanship of the product itself. At $25 the price is steep, but it’s a beautiful object that should last a lifetime or more.